With electric vehicles becoming more prevalent in Colorado and our goal of reducing the amount of carbon emissions released into the air, we installed a dual – and free to use and free to park while using – electric vehicle charging station at the Gondola Parking Garage. The station is equipped with a standard 30-amp charger with an estimated charge time of four- to five-hours. For Tesla drivers, to charge your vehicle at the Gondola Parking Garage it may take six- to eight-hours. We purchased the station with a grant from the Colorado Energy Office (CEO) as part of its Charge Ahead Colorado program. Through Charge Ahead Colorado, the CEO and Regional Air Quality Council have committed to fund 93 additional stations in the state. 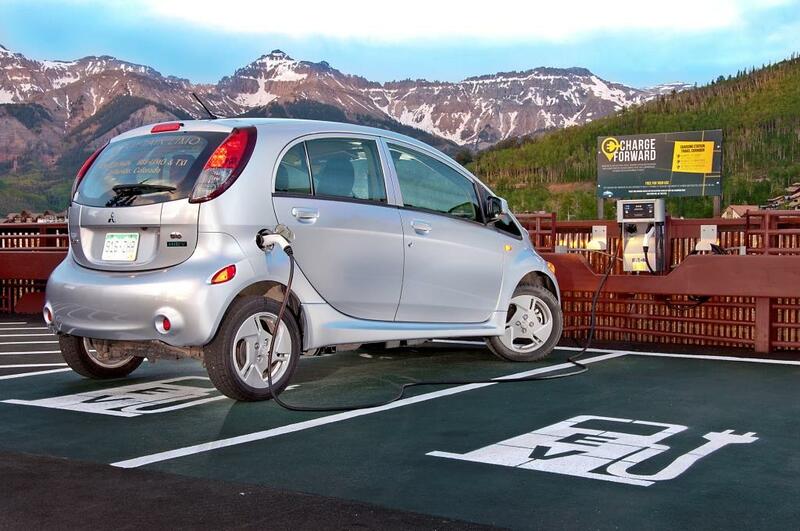 Installing a station in Mountain Village helps develop the ever-growing network of charging stations in a travel corridor, which includes Ouray, Montrose and Durango. 49 Miles to Ouray • Ouray Hot Spring Pool • 1230 Main St.
66 Miles to Montrose • Centennial Plaza • S. First Street & Uncompahgre Ave.
107 Miles to Durango • Durango Transit Center • 250 W. Eighth St. In addition to the state’s Charge Ahead program, Refuel Colorado provides Colorado businesses and consumers with information needed to assess the pros and cons of purchasing an alternative fuel vehicle.